B&M stocks pretty much anything you could think of — from toys and games to pet food and gardening tools. Whether you need a bouquet of flowers for a date, or a packed lunch for your children, you can find it at B&M. Unfortunately, you’re not always at a B&M store when you need something from one. Imagine this: you’re hosting a games night. With only an hour to go, you realise that you forgot to buy that new board game you promised to buy. It also seems your darling offspring raided the fridge last night and your cheese platter is looking rather a lot like a platter with no cheese. What to do? Put a request out on Pinga, of course! Pinga is an app that connects people to services and services to people. Our trusted Pinga partners can help you with anything from buying an item at B&M, to popping down to the pharmacy when you’re sick, or lending you a phone charger when you forgot yours at work. As there are no minimum orders, you don’t have to buy half of B&M to qualify for delivery either. Just put out a request for what you need and someone will help you out! Regular online delivery is great, but often there is a 24-hour lead time and a minimum order requirement. Not great when the party is starting in an hour and you’re desperate for a last-minute gift. Consider Pinga your new neighbour — the one who is always at home when you run out of coffee, or need someone to jumpstart your car. Pinga delivers any items from B&M Store today. 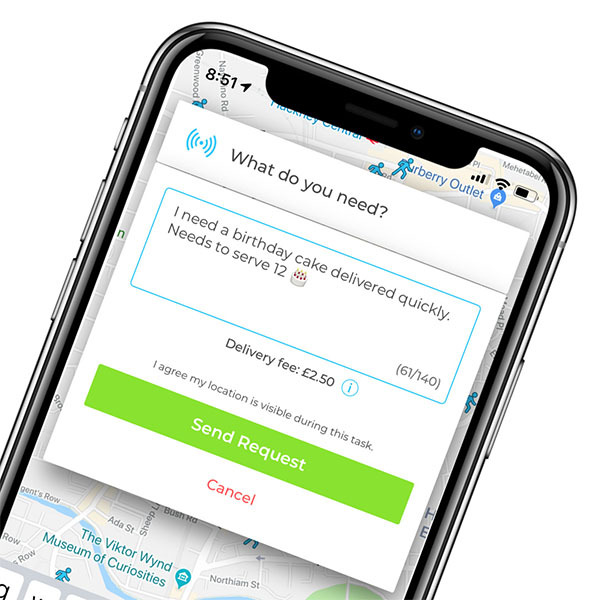 Infact our service normally delivers within an hour, so if you’re looking for same day delivers from B&M Store, send your request via the Pinga App. Describe what items you needs to be delivered from B&M and send your request. Pay securely within the app and receive your B&M items to your door!